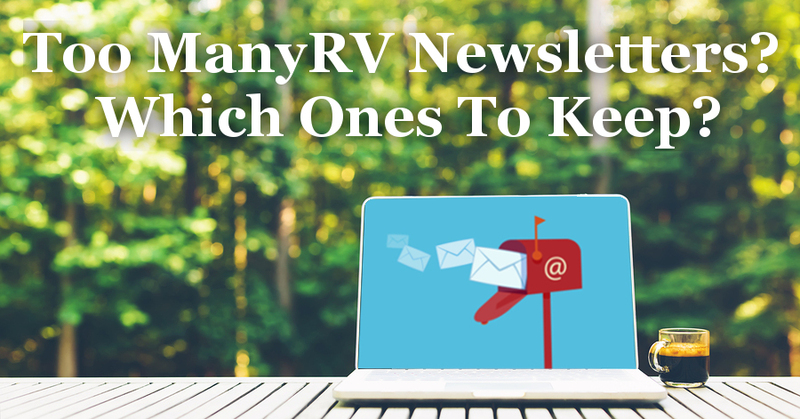 Posted by Marianne on March 18, 2019 in RV Lifestyle, RVing Tips, RV newsletters. To keep current with the news about RVing, there’s nothing like a regular newsletter. If you’re like most people though, you’ve probably subscribed to more than you actually have time to read. You know you can unsubscribe, but you don’t because you fully intend to find the time to read them – later. Meanwhile, they clutter up your inbox.